Another Winner. After reading “The Monkey Toy,” Roberts’ first book, I was anxious to see where he would go next. 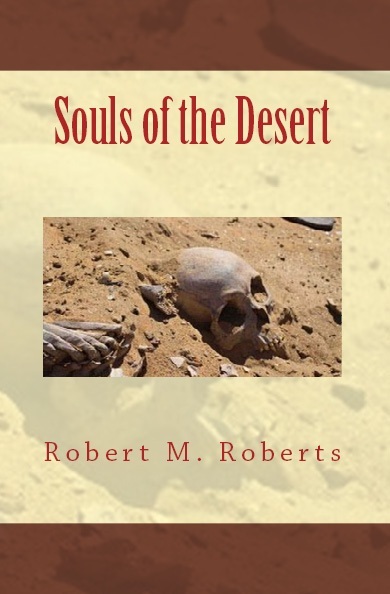 “Souls of the Desert” is another winner. Wrapped up in the suspense is a poignant love story that has you hoping it all works out despite totally unexpected twists and turns. The characters are just like people we all know and I found myself totally immersed in their story. Highly recommended. Great Book. I have read Monkey Toy, it too was a great book. I do believe I liked this book even more. You think you just have the book figured out and it changes. Received the book on Wednesday had it done by Thursday night. Mr. Roberts should get busy on the next book. I definitely like his first 2. Couldn’t put it down… To be honest, I don’t normally read novels. I’m pretty much a historical non-fiction kind of gal. I started reading Souls of the Desert on a Wednesday and had it finished by Friday! It was an intriguing story with lots of turns/twists and mystery along with a heart wrenching love story. Mr. Roberts has a gift for story-telling. I recommend both of his books, as they have an appeal to most readers, paranormal, romance, mystery, and military aspects to combine for very unique stories..